Vaulted Ceilings make for dramatic entrance on .16 Acre Lot!4 Bed & 2.5 Baths. Heated office/ 4th non-conforming bed. 14 x 13 Lot to the side of house is part of sale! Wood burning fireplace and open beam ceilings. Kitchen w/gas stove and utility on main level. Large covered patio great for entertaining. No Hoa's! 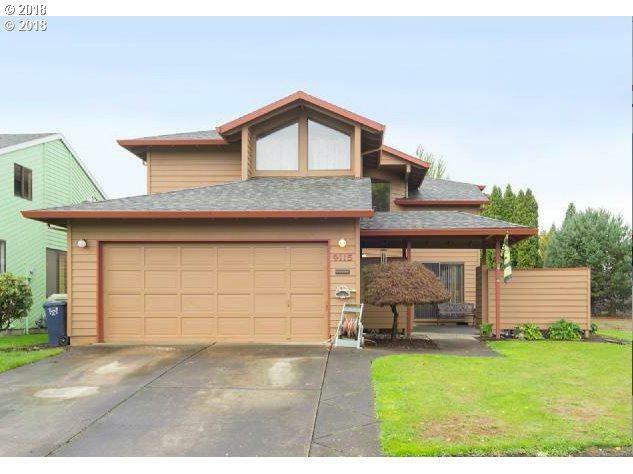 Close to Intel, Aloha THPRD Pool, TV Hwy,185th! New Furnace, Sliders and so much more!